As an interfaith Spiritual Guide, Rosanna invites the use of color and creative expression as an integral part of exploring and experiencing one’s spirituality, deepening one’s connection to one’s inner self and the sacred. Rosanna's work in Spiritual Care includes hospice, grief and bereavement, and teaching as an Adjunct Faculty in the Spiritual Guidance Program at Sofia University (formerly the Institute of Transpersonal Psychology), where she earned a Master of Arts degree in Spiritual Guidance. 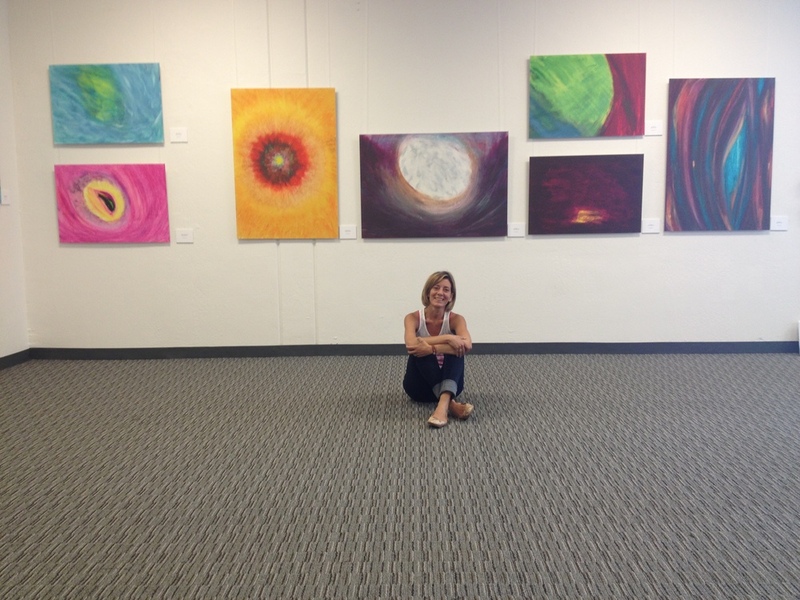 Her graduate research presents color as an opening into exploring and experiencing one’s spirituality. Her research is collected in her graduate thesis, "Coming Alive: The Relationship Between Color & Spirituality." Rosanna also integrates SoulCollage® into her spiritual guidance work, as a licensed SoulCollage® Facilitator. She continues to be an active member of Spiritual Directors International. Rosanna chose to pursue her study of Spiritual Guidance in an accredited graduate program which offered an interfaith perspective drawing from a variety of spiritual traditions. The MASG program at Sofia University provided this open and inclusive perspective through its unique curriculum integrating psychology and spirituality, developing spiritual discernment and awareness of psychological issues, cross cultural sensitivities, and knowledge about transpersonal and spiritual development. Rosanna is the founder of Honoring Your Spiritual Journey, and offers Spiritual Guidance sessions and workshops to individuals, groups, and organizations throughout Southern Oregon. "My two greatest passions, exploring spirituality and creating with color, have been my constant companions throughout my lifetime. I have combined these two passions into my profession as a Spiritual Guide inviting people to explore, experience, and honor their spiritual journeys through the creative use of color. During my 20 years of teaching, I continuallywitnessed and learned about each student’s desire to freely express and live their personal truth, their inner essence – high school, university, and older adult students alike shared this common longing. Recognizing their desire as sacred, I honored this underlying current throughout our time together, as our classroom became a sacred space for personal and collective growth and transformation through the sharing of life stories, beliefs, hopes, and dreams. All students, no matter the age, seemed to come alive when we integrated the use of color and creative expression into the exploration of life journeys. As a spiritual guide and companion to the spiritual journeys of others, I continue to create and hold a sacred space for others to explore and experience their essence and truth, their connection to their spirituality, while integrating color and creative expression into the journey. The paths I have shared with others have included journeys of hope and healing through daily life experiences and life transitions, including times of illness, loss, grief, cancer, addiction, abuse, divorce, aging, and dark night of the soul. Along the way, I continue my own journey of exploration and discovery – I believe that we make this journey together. Together we grow, we learn, we heal, and we transform – together. 'Some of us long for a safe harbor to explore the deepest questions of our lives, questions about God, Spirit, Ultimate Reality, meaning, and purpose, and calling. It is not therapy we are after, but something with larger context. It isn’t thatwe need to be fixed, but rather heard, held in a sacred space ofunconditional love, and trusted to find our own deepest connections with Spirit. It is not so much that we think anyone has the Ultimate answers…it is more that we just need a place where we can be heard, where we can hear ourselves, and where someone will help us notice the movement of the Spirit within our ordinary lives and listen for the wisdom and guidance available from within our own deep heart. We... seek a soul-friend from whom we might receive a word; a gentle sweep of a hand suggesting a place to look; or a practice or a prayer to guide us on this, our most important journey. I am honored to meet you and companion with you along this sacred journey. I invite you to take the next step on your spiritual journey and contact me with any questions, to schedule a complimentary consultation, or an Introduction to Spiritual Guidance. I look forward to speaking with you."